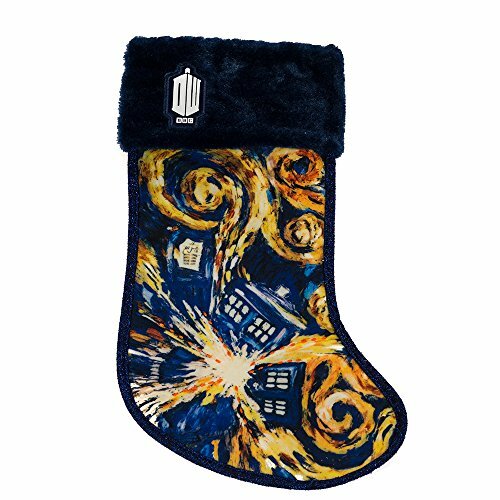 This 19-inch doctor who Tardis starry night stocking from Kurt Adler is the perfect addition to the holiday decor or collection of any Whovian. Its starry night-inspired design features the Tardis bursting through. The blue cuff is embellished with the doctor who logo.